We are one of the UK’s leading and most influential multi-style, independent associations for martial arts and combat instructors. Politics free, community led and focused on professional standards; we’re fast becoming known as one of the most trusted and renowned names in the UK for martial arts and self defence governance. We provide access to insurance for instructors and their students, to help you ensure legal liabilities are met. We provide licensing and certification for instructors, coaches, senseis & clubs in more than 250+ disciplines and styles of martial arts and self defence. The British Martial Arts & Boxing Association (BMABA) was founded in 2012 by Giovanni Soffietto as a professional organisation primarily designed for martial arts instructors and clubs as an alternative to the ‘old school’ associations that dominated the market. Today the BMABA enjoys a reputation as one of the trusted, professional and reputable organisations in the martial arts industry having successfully grown to many thousands in membership, and successfully introducing a number of recognised key standards and safety measures for martial arts instruction. Focused more on setting and regulating acceptable standards of professionalism for the instruction of martial arts, rather than homing in on the syllabus being taught, the BMABA has become known as a leading UK Martial Arts National Governing Body thanks to it’s high standards of eligibility for instructors and it’s no politics, independent approach to governance. The association works most predominantly with martial arts black belts, instructors, coaches and senseis to help introduce recognised qualifications and standards for instructors, and to help make martial arts safer for all those participating. In 2017 the BMABA marked it’s half-decade point and widened it’s successful track record working with clubs to include students, venues, schools and parents. We’re politics free, completely independent, community led and fiercely committed to the development of our industry, leading the way for change and a modern martial arts industry. What’s more, we can provide you and your club with everything you need to grow. Our association acts as a voluntary governing body to instructors, clubs, students and affiliates from across the UK whom choose to enjoy representation and membership under the BMABA name and banner. 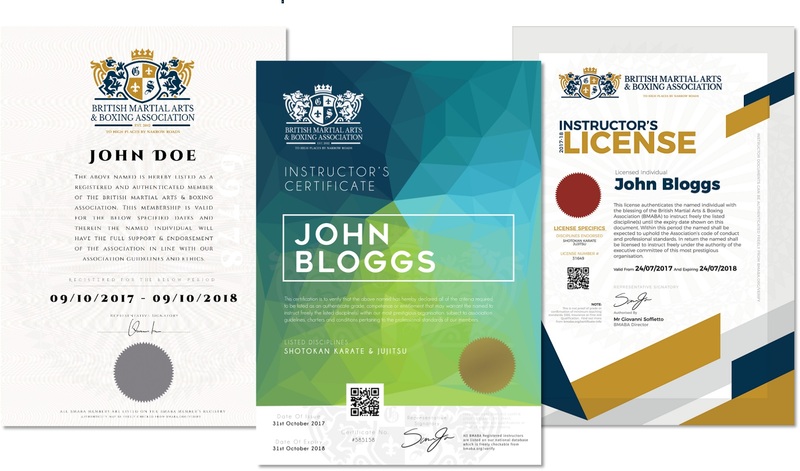 We provide many of the professional services required by any modern club; martial arts insurance, student licensing, instructor certification, dan gradings, DBS checks and more. Alongside the more traditional services provided by an Association in our industry we also provide members with invaluable tools and skills to help grow their clubs & develop their knowledge. We represent more than 250+ styles and disciplines of martial arts, boxing and combat and we’re are always looking for new members interested in gaining independence within a solid, reputable organisation. Our association was founded in March 2012 by Giovanni Soffietto initially as a consortium to help local clubs access more affordable insurance premiums. Having realised there is little continuity between different associations in terms of instructor requirements and standards, and sick of seeing organisations consumed by politics, greed and squabbling, the BMABA was founded as an independent association in September 2012. Since then we have refined our purpose a great deal and have become known as on of the UK’s fastest growing and most reputable martial arts associations. We now attract thousands of members in more than 250+ disciplines and styles of martial arts, combat and self protection. We’re founded on the principle that together, as a unified and properly governed community we are stronger than when separate. Whilst the arts and disciplines we practice and teach may stretch millenniums, our industry’s ability to make martial arts safe, accessible and credible falls far behind. The BMABA works to improve standards of martial arts in the UK, and support professional clubs with everything required to grow and prosper. As an association we offer our clubs and members access to the latest technologies and governance. We’re not interested in offering documentation for cash; all applicants are vetted and must meet our strict eligibility criteria. It’s part of our industry leading practice that makes the BMABA such a trusted industry name. 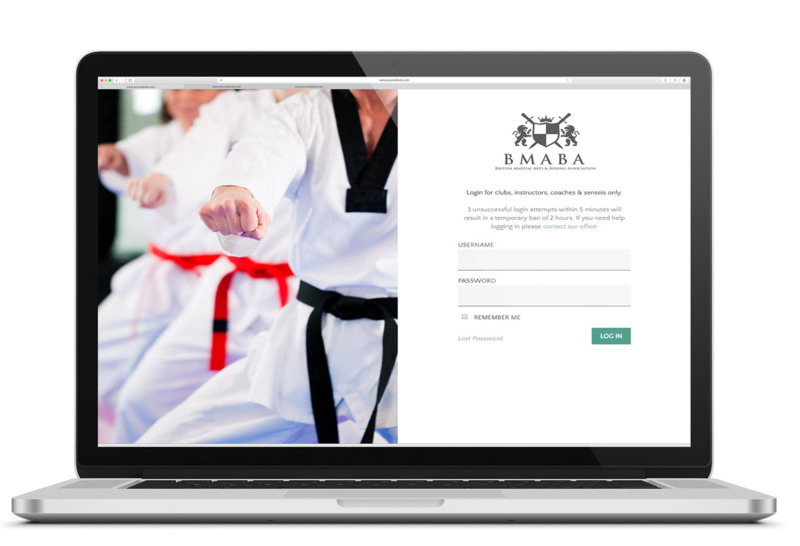 By joining the British Martial Arts & Boxing Association (BMABA) you’ll be entering a community of like-minded professionals and joining one of the UK’s leading martial arts associations. Everybody who joins our association has to be able to prove their grades and entitlement to teach. This makes us one of the most exclusive and highly respected martial arts supporting bodies anywhere in the country. If you’re tired of paying large sums of money for no real return or support and you don’t want to hand over control to a politics ridden boy’s club then our Association could absolutely be the right choice for you. If you’re looking to gain independence for your club and associate yourself with a leading, politics free martial arts association ran by it’s members for it’s members please feel free to apply. We all have something to contribute – every single martial art is valuable. Our ethos has helped unite thousands of cross-discipline and multi discipline instructors, as well as hundreds of singular style clubs on common ground. We’re all working toward the same goals, and we’re all passionate about what we do. There’s no longer a place in our industry for turning our backs on one another because ‘they’ practice something different or do something you don’t. There’s never been a better time to learn more about other martial arts, and improve the quality of your own teaching. Our organisation is politics free and truly multi-styled, respecting every instructor from every style equally.